BJW BLOG: “Maybe we’ll come out and wear dresses tomorrow”. The Toronto Blue Jays left Florida on Thursday night, having wrapped up their season-opening series against the Tampa Bay Rays. I’m sure the average Blue Jays fan expected a better start then splitting the first four games in St. Petersburg; but historically the Jays have only won 3 series out of the last 27 they’ve played at The Trop: A stadium overwhelming voted by players and fans as THE BEST in baseball. See that last part was sarcasm. It happens from time to time on this blog. For sure there’s some positive and negatives to take from this opening series. Yes, the bullpen was a bit shaky in games 3 & 4 but then again Gibby was trying to get a look at a few guys with Estrada due to come off the DL Sunday against the Red Sox. Yes, the strikeouts were a little high in this series by the Jays. 46 SOs in total ties a team record for most in a 4-game series. There were 16 alone on Opening Day but the Jays still won 5-3 with Marcus Stroman out-duelling Chris Archer. Plus, with a team of mostly sluggers you have to expect they’ll swing-away more often then not. But once said sluggers get in to mid-season form then watch out. That longball we only got a mere taste of in St. Petersburg should be showing up a lot more often. Kevin Pillar’s heroics in centre field was the talk of Monday night’s game. The walk-off overturned call – a first in baseball – was the talk of Tuesday. The new “Chase Utley Rule” took all of 3 games to make an impact on the result of a game. We can debate for days whether or not Jose Bautista intentionally reached for Souza’s leg to break up the double play. Fact is, it violates the new rule. Did you figure it out, cause I feel asleep after “Begins his slide”. Anyway Jose was pissed. Gibby was pissed. Hell the majority of Jays fans were pissed. Had this happened in Toronto, the forecast at Rogers Centre would have called for a 100% chance of tossed beer cans. (Thanks 5th level!). I only have MS Paint on this computer, give me a break! In any case there’s 158 games left to play. The first big challenge comes this weekend at home against much-improved Boston Red Sox : A team most experts are picking to win the AL East (assuming they’re not picking the Blue Jays). 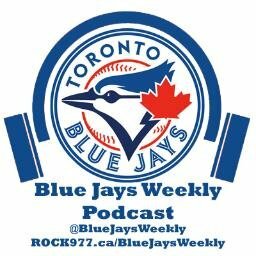 The “Stro Show” is back on the air Friday night for the Home Opener against Rick Porcello. Speaking of Marcus – tune in to his special on Sportsnet following Saturday’s game. PVR is set! Marco Estrada takes the mound Sunday for his first start of the season. He was a solid part of the rotation last year. The entire weekend is sold out – took about 5 minutes after tickets went on sale. Clearly, Toronto is still crazy for baseball.